From 2015 to 2019, Sable served in places like Sikkim while enriching his undoubted ability in sport through the Army’s athletics programme. A member of the 5 Mahar regiment, Sable was posted in Siachen in 2013 and 2014. The Maharashtrian (from Beed district) was understandably coy when he spoke about the work he was asked to do there. “I was an infantryman, who was posted on general duty.” After spending almost two years there, he was posted to Lalgarh Jattan, a village in Rajasthan. While in Rajasthan, Sable started taking an active interest in sports. From 2015 to 2019, Sable served in places like Sikkim while enriching his undoubted ability in sport through the Army’s athletics programme. 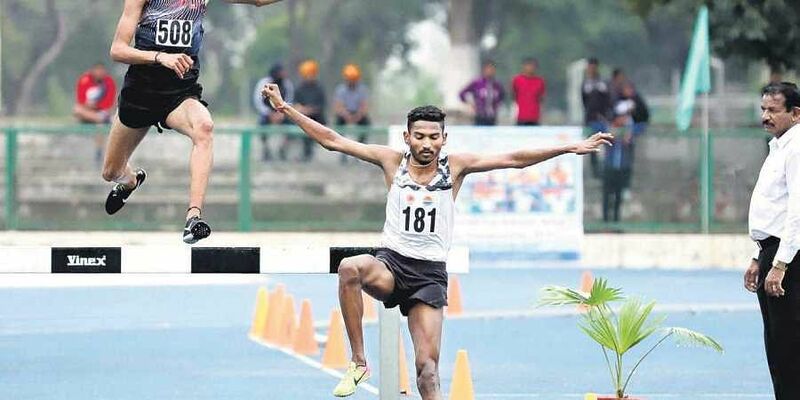 On Monday, at the Federation Cup in Patiala, those talents reached a new high as he rewrote his own national record in the men’s 3000m steeplechase to qualify for the upcoming World Athletics Championships in Doha in September. His earlier mark of 8:29.88 — set at the Open Nationals in Bhubaneswar in September last year — in fact broke Gopal Saini’s 37-year-old (8.30.00) mark. The new record stands at 8:28.94. But, in a way, running past obstacles and hurdles is second nature to Sable. He literally did that to go to school. “School was six kilometres from home and since there was no road... I used to run or walk to school every day from Class I,” he said. Singh also asked him to become a steeplechaser. So he raced in this discipline for the first time at the 2017 edition of the Federation Cup where he finished fifth with a time of 9:06.42. At the Open Nationals in Chennai in September 2017, Sable progressed further to finish first with a time of 8:39.81. Having already established his credentials as one of India’s best, he was set for phase two in the developmental process. But injuries cut it short. Singh blamed former foreign national middle-and-long distance coach Nikolai Snesarev for that. “Nicolai is a good coach but I think he overworked Sable, who refused to run because of the load. (it should be noted here that Sable broke the record last year when he was training under Snesarev). Singh got on a salvage mission when Sable came to him, with his mind and body broke, in October 2018 (he missed the Asian Games due to injury). India’s Asian marathon champion Gopi Thonakal has qualified for the World Athletics Championships to be held in Doha in September-October after finishing 11th in the Seoul International Marathon. The 30-year-old Gopi clocked his personal best time of 2 hours 13 minutes 39 seconds in the marathon race on Sunday, bettering the World Cham­pio­nships qualif­ica­tion mark of 2:16:00. His earlier best was 2:15:16 last year. Gopi’s time is the second best ever by an Indian after the four-decade old nati­onal record of 2:12:00, which is held by Shiv­n­ath Singh. Seoul Int­ernational Mar­athon is a world-class IAAF Gold label event. Gopi won the Asian marathon title in China in 2017.